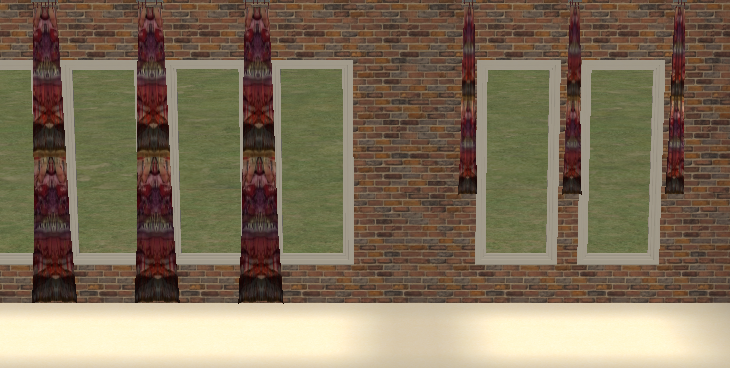 It's my very first attempt at using the Repository technique for Sims 2 stuff. Olemantiker Breeze curtains having 4 meshes (8 with diagonals) with the same subsets, it wasn't too hard for me at this stage. I added a Gipsy texture as a bonus. The master mesh is now ole curtain breeze 2MASTER. All textures using this specific original mesh before my version should work. For textures of other Breeze curtain meshes, I can't tell for sure. and a PDF link is provided as well for quiet reading and testing.